Railroad is one of the most critical services to Alaska’s infrastructure. It is also one of the most challenging services. 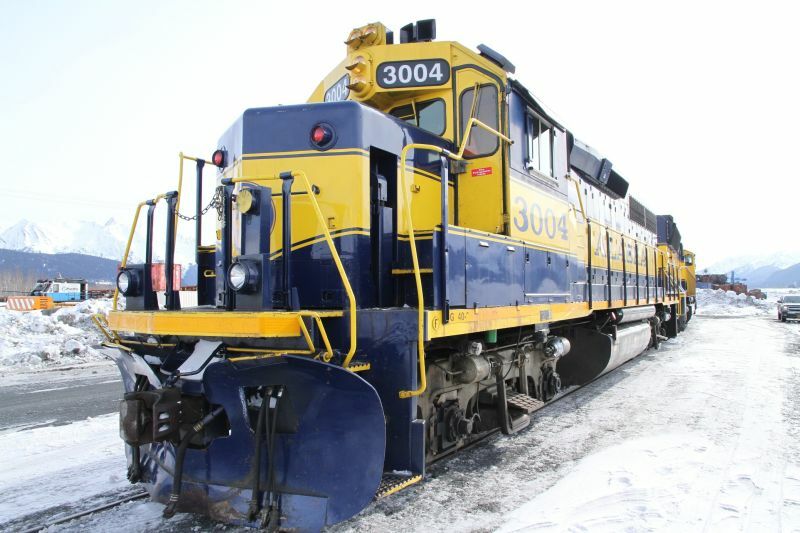 Following an elite crew of workers– brakemen, engineers, construction crews, mechanics and train drivers – Discovery Turbo’s new series, Railroad Alaska illustrates the battle against ferocious weather and treacherous terrain to keep the State of Alaska’s critical 650-mile long railroad rolling to deliver life sustaining supplies. Starting 14th April, Railroad Alaska is a new reality series that follows railroad workers in Alaska and the obstacles they have to overcome to keep the trains running. The series will air weekdays (Monday to Friday) at 10 PM on Discovery Turbo. Filled with real-life stories, the series covers everything from controlled avalanches to prevent catastrophe to fascinating characters, like Jim James, is the one-handed handy man who has learnt what it takes to keep this train on track. Railroad Alaska celebrates the romance of the railroad, which opened up opportunity and expansion in America. Homesteaders living miles from roads or towns and surrounded by wild animals – from bears to moose and wolves – can flag down the passenger train in the middle of nowhere to get what they need. But if the train doesn’t get through, they can be stranded without resources or help. Celebrating America’s last great pioneers who literally put life and limb on the line, Railroad Alaska follows the dangers of living a cold and isolated life surrounded by dangerous beauty. The untamed north is no place for the faint of heart and Railroad Alaska illustrates the impossible task of living and working in unbearable surroundings. The railroad crew works in miserable, freezing conditions, showing off their ingenuity and expertise to get the job done no matter what – because if the train doesn’t get though, the locals won’t get food, fuel or even get home. And viewers will get to meet fascinating people who live off-grid, away from society, as well as find out why they chose a life away from civilization and fully independent.